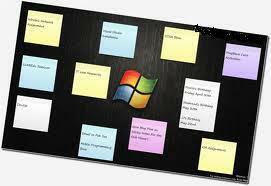 In this article, I will explain what is the sticky notes along with its details and why to use the sticky notes in the Windows 7 environment. 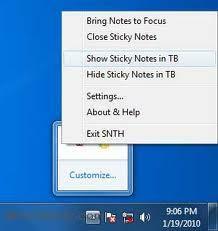 Sticky notes are the freeware for the Windows that provides an easy of understanding and quick notes to the user such that the web links are specified the location of that text and addresses are assigned on the basis of the keywords such that phone numbers are also used with some other information. 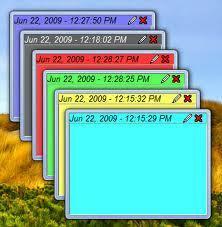 Why to use sticky notes on the Windows 7 environment? The main motive of the sticky notes is to provide the better understanding of the concepts for the user and also to make the data in a represent able format that provides the easy access to the user and reminds the data to the user. * When it requires displaying some daily and weekly updates in your system then sticking notes provides you the best way to display them on the screen in the convenient manner. Moreover, it represents the task in a sequential manner such that tasks and the recipes are displayed on the screen in a in a particular format. 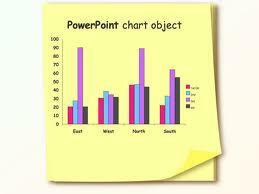 * It is used in quick understanding of the information as you see in the primary classes where most of the books contains the pictures and the Images just for the understanding of the subject, as we know that pictorial pictures represent the things in a good manner so the sticky notes provides the same sort of concept for the users. It leads to the effective utilization of the resources. 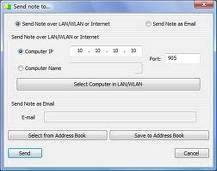 * The sticky notes can also be send from the one computer to the another as it can be easily send or receive in the network machine over the internet and manages the data efficiently such that customization and editing of the format of the sticky notes are also done on the server machine without the help of the editing permissions from the client computer. Once the server computer receives the notes from the client then it will have the full access of rights over it and made any number of changes according to his requirement. 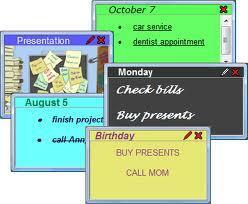 The sticky notes can also be send to any one through the E-mail. * It offers the tools and utilities that offers the Plug and play features due to which during the initialization phase of the installation of the software of the sticky notes it will automatically clears all sort of recent history, delete cache and cookies and the temporary files that will increase the load on the computer and allows the feature of the auto complete which will provide the manuals to install the software or provides the setup Windows to the user. * It is fully compatible with the different browsers that offer the advanced scheduler which will match the timing defined with in its database with the timings of your computer and clears all kind of audio and the video history as well with its synchronized clock that provides the actual timing for carrying out various operations. 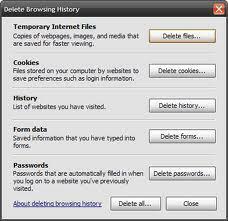 * It handles the operations in an improved and faster manner as having the powerful and the optimized search engine that will auto save the keywords in its own directory and while editing anything then also supports the auto save to save the data and arrange the notes either in the increasing order or in the decreasing order. * While you are installing it then it offers some administrative tools such as provide the ability to import the files such as rtf and txt, offers font, color, size, transparency, border, background images and provides the feature of fixing the bug and showing the some hidden notes in the tray menu after starting up of the computer and creates the notes with the random color selection. 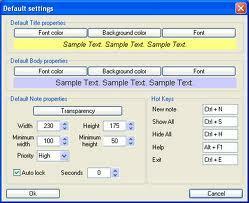 * The options, controls and properties are there which will responsible for the showing and the hiding of the view port. Moreover, the notes can also be created with different priorities levels such that accident deletion of the notes is not possible as provide the locking system for the users. Instead of this supports dual monitors by minimizes the screen into two or more parts. * The printing of the notes are also allowed in different languages, as the support is there for the multiple languages for the creation of the notes, the notes are created using the hotkeys. How to create the sticky notes? 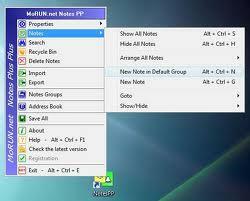 * Firstly, Right click the program tray icon and then select Notes then click on the new note. * After that Left click on the MoRUN Sticker Lite tray icon. * Then press the Ctrl + Alt + N and then it will create the new sticky notes for the user and then make and edit it according to your requirement. 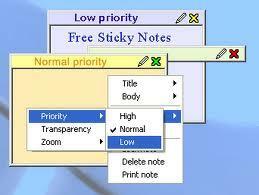 How to download the sticky notes? As mentioned earlier that sticky notes are free ware therefore you can download the sticky notes from the internet for the trail of the 15 or the 30 days. This article explains Windows 7 firewall's new and enhanced features which gives more control on Firewall and includes multiple profiles for each connection type. Are you looking for installation guide of Windows 7 Professional operating system. Windows 7 is an operating system created by Microsoft to be installed on computers and laptops. In this article, I have given detailed steps about how to install Windows 7 in your home PC. Read this article to know the details about installation guide of Windows 7 Professional operating system. A detailed review about windows 7 and its new feature.I will also describe why windows 7 better than other Operating systems.